Does God care about His creatures? Does He care about you? 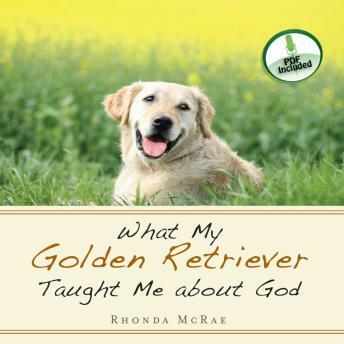 Sadie, a golden retriever, gives us a hint as Rhonda weaves for us a beautiful story of dog and master. Revel in Sadie’s quirks about the smell of socks and the taste of popcorn. What divine lessons can we learn from this zany duo? Be surprised by the unexpected as this golden retriever warms your heart just by being herself. Gain a new vision of who God is, what He is like, and why we might just love Him more in spite of ourselves.